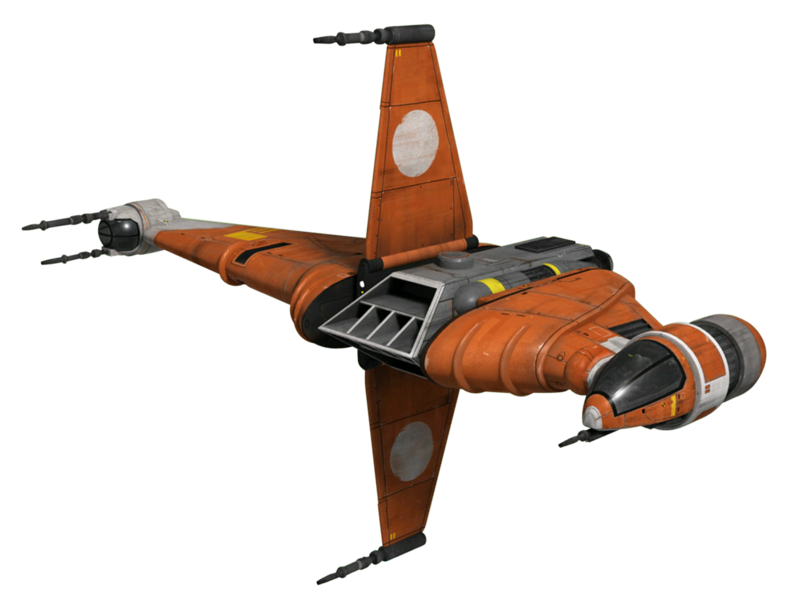 Charcter Bio - CC-7567, nicknamed Rex, was a clone trooper captain during the Clone Wars, the galaxy-wide conflict between the Galactic Republic and the Confederacy of Independent Systems. 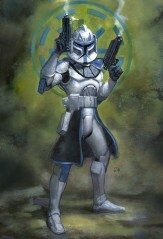 Rex was in command of Torrent Company, a unit of the famed 501st Legion in the Grand Army of the Republic. Rex served under Jedi General Anakin Skywalker, and was a freethinking, tough, and aggressive trooper. Yet his noteworthy individuality aside, Rex followed his orders without question like the rest of the soldiers. Rex was also good friends with Commander Cody. Rex participated in the Battle of Bothawui, and later assisted Skywalker and Tano during a mission to destroy a Confederacy listening post?and was one of the few clone troopers, along with Sergeant Denal, to survive the mission. After rescuing Jedi General Aayla Secura from defeat by the Confederacy with Skywalker and Tano, the Jedi and clones, including Rex and Commander Bly, crash-landed on remote Maridun, and Rex stayed with an injured Skywalker while the others found help. After Confederacy General Lok Durd arrived on the planet to test a new weapon, Rex and Bly helped to defeat the Confederacy and save the inhabitants of the planet. Rex would later be an asset during a short war on Orto Plutonia, and would also help halt the release of the deadly Blue Shadow Virus. Rex also helped Skywalker and Tano during the Battle of Ryloth and retrieving a stolen Jedi holocron. Rex believed that experience outranked everything. An independent thinker, he wasn't afraid to voice his opinion to higher ranking officers, but still obeyed orders from his superiors. Rex was also very tactful, adept at diffusing tense or embarrassing situations. Because of his close relationship with General Skywalker, Rex learned to never underestimate the abilities of the Jedi, nor doubt their resolve. Trained in a variety of fighting styles and combat tactics, he was a skilled soldier, unafraid to place himself in danger if required for the line of duty. These characteristics enabled Rex to survive many engagements and lead his troops to numerous victories. Rex thought very highly of General Skywalker?who considered Rex a friend in turn?and also seemed to be friends with Ahsoka Tano, sometimes calling her by her first name and interacting with her in a more casual manner, unlike with Skywalker. He was able to deduce that Skywalker was in love with Padm? Amidala due to the clones' heightened sensitivity to minute personal details?such as overly long glances, a tendency to snap to attention at the mention of her name?developed by living among individuals who all looked the same. However, Rex believed the feelings were unreciprocated and had no idea that the two were secretly married. Despite his dedication, Rex allowed Cut Lawquanes desertion to go unnoticed, although he turned down Lawquanes offer for a chance to also desert and live at the farm. Rex was also an avid bolo-ball fan, partial to the Sullustan team, Bylluran Athletic. When first arriving aboard RAS Leveler, he had his hair dyed blue and cut into stripes in support of the team making the finals.